After the Egyptian revolution in 2011, the co-working space concept started to flourish. 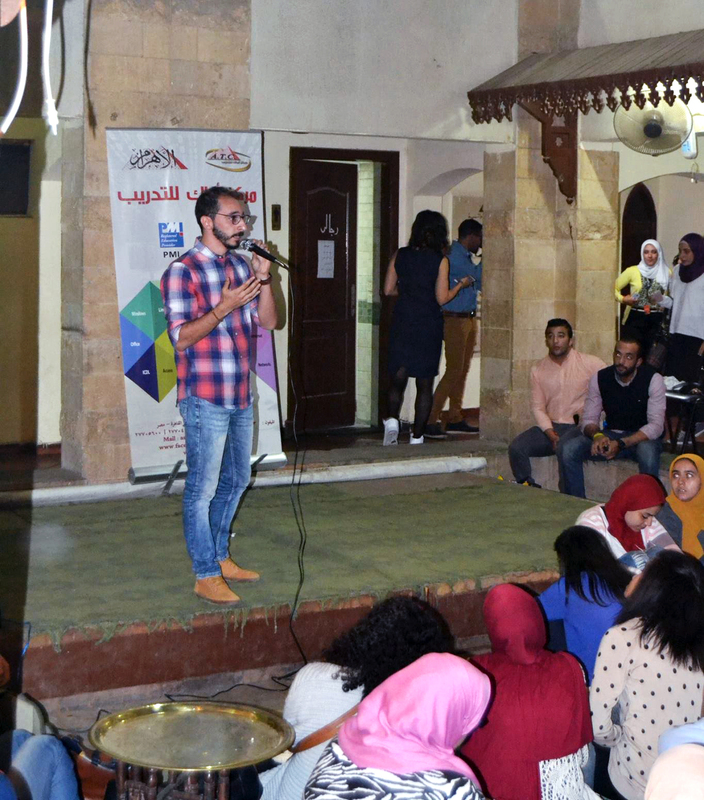 Young Egyptian youth started launching different initiatives to tackle many social problems. The revolution increased their ownership over their communities. The co-working spaces have supported many initiatives that allowed organizations and entrepreneurs to connect and work together for a greater impact. AlMaqarr (means The Headquarters) was one of the pioneers that started actively supporting NGOs, initiatives, and student organizations by hosting them in their premises and offering mentorship, training, and network, so they can operate effectively and grow to tackle community’s problems. Muhammad Nagi, AlMaqarr founder and MD, studied English Languages and Literature at The University of Ain Shams. Mohamed is an entrepreneur since he was a student. He co-founded one of the most active student organizations in his university called React. React focused on changing the students’ mentality and attitude towards their own lives by delivering employment skills training, as well as human development programs. “I believe that each one of us has a hidden treasure that needs to be discovered, that’s why I always wanted to help students not to underestimate their power, reinforcing,” says Muhammad. Muhammad with his team faced many issues while running their activities. The lack of mentorship, facilities, networks and premises were the main issues they faced. In 2012, Muhammad with his team had the idea of starting a co-working space, which was designed to suit entrepreneurs and community leaders needs and become a real productive and creative environment where all the community players can interact and collaborate together. “The idea of the co-working spaces was new. We were very excited to start AlMaqarr and all of us sacrificed to make it happen” says Muhammad. Nagi was a professional Karate player. He was representing Egypt in many global competitions. He used to work with several local organizations that mainly focused on charity projects to support marginalized areas in greater Cairo. Because he is still connected to sports, Muhammad is currently working as a Fitness Coach at Fitiology where he is instructing and coaching groups/individuals through fitness programs. AlMaqaar is supporting over 700 entrepreneurs with more than 300 project ideas. They have been selected as the best co-working space in Egypt and received local and international recognitions for their efforts. Muhammad is a true believer in collaboration and coworking, and how working together can build exceptions. With his team, he launched a great engaging experience that can be delivered to reinforce the networking concept. They launched ElRe7la (means The Journey); a social enterprise that provides extraordinary out-of-office experience for change-makers to widen their horizons and change their lifestyle to help them be more productive. 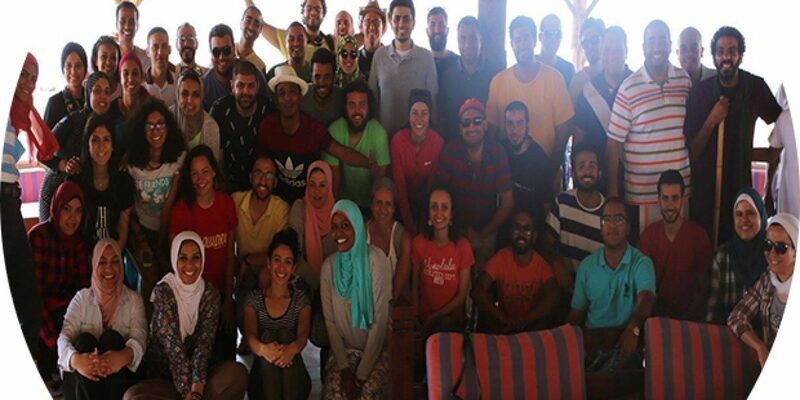 They have organized over 6 entrepreneurial camps in different destinations in Egypt, and invited more than 700 change-makers from all over Egypt. Nagi has been selected by Cairosecene as one of the 25 entrepreneurs who are under 25 years old. He is very grateful for the successes that he has made but his passion towards entrepreneurship never ends. Mohamed believes that entrepreneurship is the only way out for Egypt to solve the major economic and social challenges. Co-working spaces are one of the main tools that could help young Egyptians with the resources and networks that they need to reform their communities and build their ventures. Even though the co-working spaces concept was just introduced to the Egyptian entrepreneurial ecosystem, we saw many great examples of entrepreneurs who shaped the community with their great entrepreneurial ideas and still willing to bear sacrifices to make a greater impact.